The perfect ice breaker for your guests. A great talking point. Birthdays, anniversaries, graduations and everything in between. Small intimate sit down performance. The perfect way to enjoy magic. Perfect entertainment for a large number of guests. Memorable and un-intrusive. 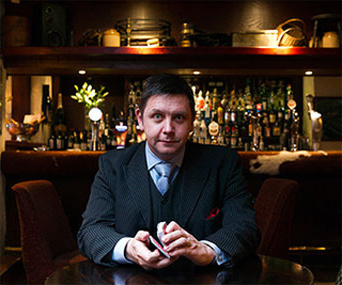 He has worked extensively throughout Great Britain and Ireland at many prestigious venues including Gleneagles Hotel Perthshire, Stirling Castle, Park Lane Hotels London, The Old Course Hotel St Andrews and the Venice Simplon Orient Express. Gary’s corporate clients are equally impressive including companies such as RBS, BUPA, Clydesdale Bank, BT, O2, Vodaphone, Prudential, Microsoft, Channel 4. 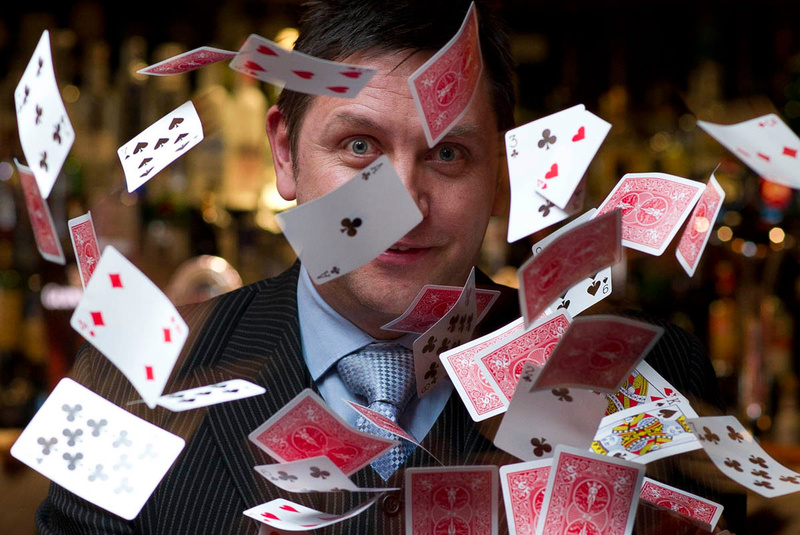 He currently performs his entertaining style of close-up magic at venues throughout central Scotland and in the Glasgow and Edinburgh areas. 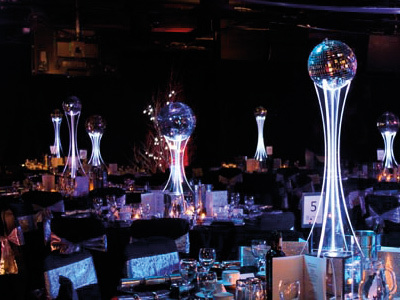 It’s tough choosing the right event entertainment you have to consider a lot of factors. 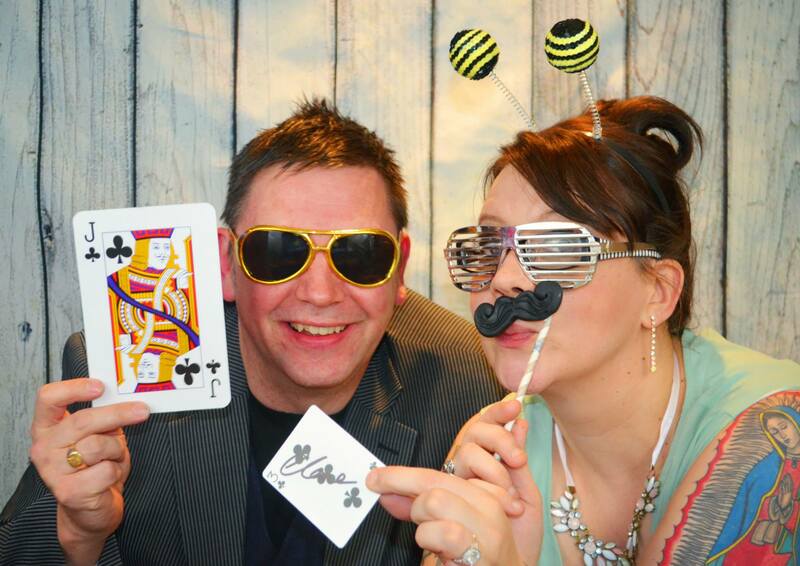 Luckily Gary's performances have been honed over the years to fit perfectly in the corporate entertainment sector. Banking execs to factory workers Gray has the style and experience to make sure they are all kept entertained. Gary excels in this setting. He has had international engagements specifically for this style of performance. 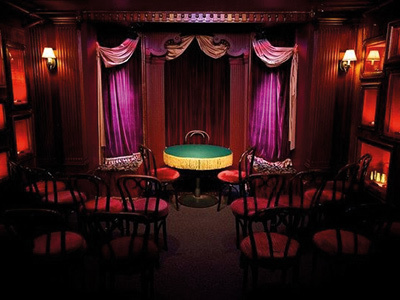 He can structure a set to any length and build an evening of entertainment you will never forget. Audience size is normally up to 20 people and performance time is usually 90 minutes. Private parties are a great chance for Gary to get a little more intimate with the audience. A good amount of time can be spent with each group and by the end of the evening the guests will be raving about what went on. During the photos/drinks reception is a great time to perform. Gary will mingle among your guests and really break the ice. 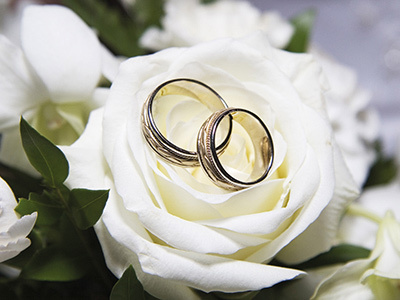 With everyone more relaxed, It really kick starts the wedding in the best possible way. It’s also one less thing for you to worry about, you can be assured the guests are being kept entertained while you are busy with the photos. 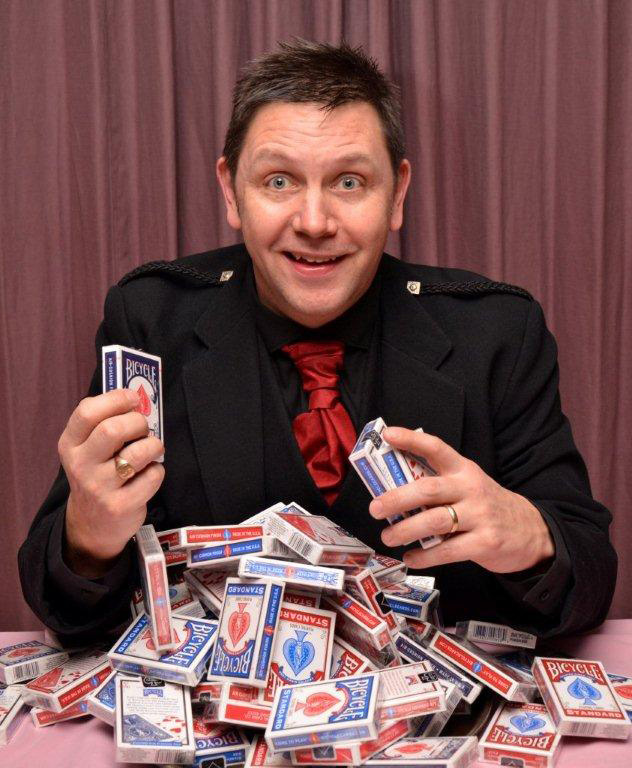 Gary has amazing skills in conjuring and sleight of hand allied to an acerbic wit which will make for an unforgettable experience for you and your guests. Gary will stun you with happenings you will not believe, while entertaining the company with his comedic observations. Gary is equally adept at performing for intimate table groups or for the whole company in a more formal setting. Nothing is more certain that Gary’s act will be a conversation topic for a long time after the event. Gary's magic is second only to his ability to engage and entertain any audience. Guests list this year was extremely varied but Gary somehow managed to find the common ground between everyone and get them all together and enjoying each others company. No tall order in this company!